It is important to be able to say words [pronounce words] before learning to read the printed word. Always ask a Noongar person how to pronounce sounds/words. There are some sounds which are not in English but the sound is always constant, unlike in English where one sound may be said a number of ways. E.g. the English ‘a’, as in cat, many and path. Once the Noongar sounds are known, it becomes easier to say/pronounce words. Remember that occasionally there are exceptions to the rules. 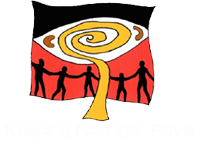 A copy of the Noongar Learners Guide can be found here as a free download. To obtain a copy of the NBLC brochure about linguistic work at NBLC, click here. 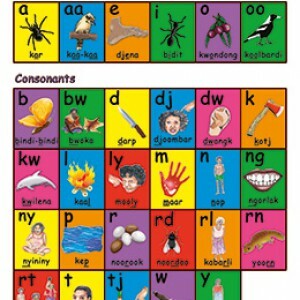 Resources such as this alphabet chart are available for purchase from the Noongar Language Centre. • Dench Alan.1994.Nyungar.In N. Thieberger & W.McGregorleds, Macquarie Aboriginal Words Sydney: The Macquarie Library.p.p 173-192. 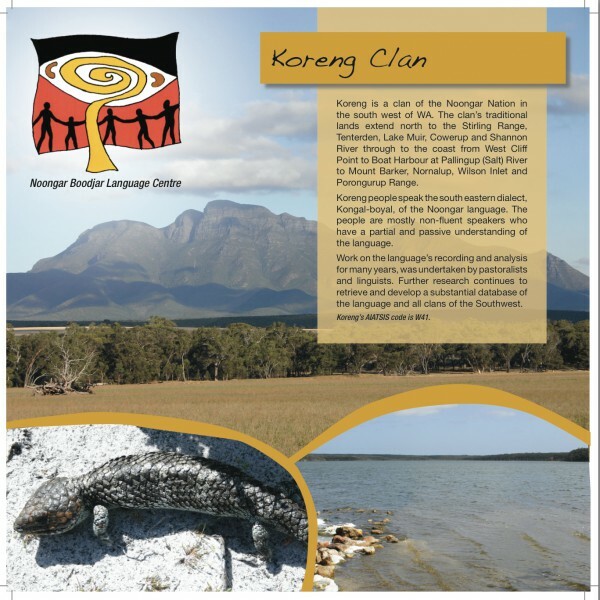 • Spehn-Jackson, Lois, 2011, Noongar Waangkiny – A Learner’s Guide to Noongar, Batchelor Press.